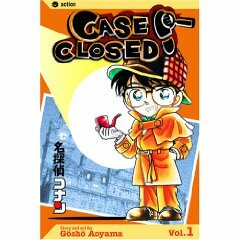 Precocious high school student Jimmy Kudo uses his keen powers of observation and astute intuition to solve mysteries that have left law enforcement officials baffled. Hot on the trail of a suspect, Jimmy is accosted from behind and fed a strange chemical which physically transforms him into a grade schooler! Taking on the pseudonym Conan Edogawa, he attempts to track down the people who did this to him. But until he finds a cure for his bizarre condition, Jimmy continues to help the police solve their toughest cases.